To read leaked United States embassy cables on political development in Nepal during the decade long Maoist’s Movement is enlightening as well as entertaining. The cables give an extraordinary insight into the minds of people who were working to stop the advancement of the movement and those wanted to further the movement. The students of the Maoist movement in Nepal would surely gain an idea as to how the entire ‘free’ world in general and India and America in particular were reading the developments in Nepal and what modus operandi they applied to influence the movement. In one particular point even America fell in love with India’s negotiation skill when it came to bring ‘revolutionaries’ of Nepal in mainstream. The ‘positive’ results that Indian diplomacy generated in Nepal showed that ‘Chanakya’ serves better than ‘Machiavelli’ in South Asia and to corrupt revolutionaries- if they are ready for it- is an art and India was the master of the skill! The leaked documents fall in two categories. Those sent from Kathmandu Embassy and those sent from New Delhi Embassy. Ambassadors in both the Embassies narrate the development from two different angels. While ambassadors in Kathmandu see it through the Nepal’s angle which was in direct conflict with the Maoists, the ambassadors in New Delhi narrate the development from India’s perspective. After reading the cables it is evident that the King of Nepal as well as Indian establishment did not believe Maoists to be a serious threat and they projected them as threat only to advance their respective agendas of consolidating power in Nepal. In this game one had to lose. The King lost. As far as the Maoists are concerned by 2002-03 they had lost the courage to take the movement forward. They had already started negotiating with the King and with India at the same time. After reading the cables it becomes evident that the King lost the game because he underestimated India. The King’s overconfidence and his sheer negligence of the India’s strength made him vulnerable. He, without ‘proper’ knowledge of India’s influence in the bureaucracy and the Nepal Army, tried to take control of them. Although he, like India and the US, wanted to finish the Maoist ‘insurgency’ but unlike India he, at the same time, wanted dispose the political parties and become the sole authority in Nepal. For this purpose he tried to play time tested ‘China card’ and force India to toe his line. 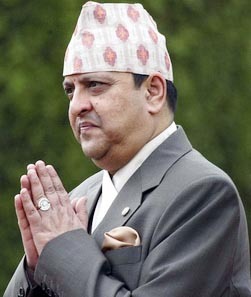 Had he taken India seriously he could still be ruling in Nepal in the name of democracy! After becoming the King on the backdrop of Palace Massacre of 2001, in which the entire royalty except Gaynendra’s immediate family was murdered, the Nepalese state initiated the first round of peace talk. The Maoists’ team was headed by its senior leader Krishna Bahadur Mahara. The Maoists’ demanded: abolition of constitutional monarchy; rewriting of constitution; and the establishment of interim administration and a Constituent Assembly to facilitate transition to a republic. After the attack on the Twin Towers in September 2001 and the corresponding declaration of ‘War on Terror’ by the US and its satellites, including India, the Maoists were declared ‘terrorist’ and the government of Nepal became unenthusiastic for the talks. Subsequently the talks failed. Until then the Maoists and the state had their own standings and none of them wanted to divert from them. There was no common ground where the interests of both the parties could intersect. The King had a healthy relationship with India and the political parties enjoyed King’s support. It seems that only the King and the Maoists understood that the talks would fail and hence both, during the peace talk, were consolidating their positions, the King in the bureaucracy and the Maoists on the field. When the talks collapsed these two parties emerged as the only power centers in Nepal leaving the parliamentary parties in limbo almost without any say. This development made the King believe that the world had no other option but to choose him or the Maoists. On 26 November 2001, just three days after the breaking of peace talks, the government of Nepal, on the behest of the King, declared the state of emergency. Within a year the King dismissed the elected government of Sher Bahadur Deuba and took over the executive power. India, against the calculations of the Monarch, did not support the idea and issued the statement asking the King to rectify the move. India always believed that strong parliamentary parties were vital for its successful influence in Nepal. The ‘buffer’ (the word used by then Indian Foreign Secretary) was necessary to keep the Monarchy in check. In case this buffer was removed India risked its influence. During King Mahendra’s time India had suffered greatly because of King’s frequent China tilt. A strong buffer between King and India had paid great dividends and hence in 1990 India helped create a constitutional monarchy in Nepal. But now it looked that the King was all set to do away with it! From here onward we have wiki cables to justify our arguments. What seems from the cables is that King was trying to do away with the parliament and also with the Indian influence in Kingdom’s day to day affairs. From 2003 onwards instead of talking advice from India the King tried to pursue his own path for the future course of action under the guidance of the US and from the support of China. His palpable snobbery of India infuriated the ‘big’ brother who never wanted any kind of third party influence in the South Asian region even if it was of its ‘strategic’ partner, the US. According to cable number 02KATHMANDU1326 dated August 8 2002 the King visited China in July 9, 2001 on a state visit hosted by Chinese President Jiang Zemin. The cable notes that ‘Gyanendra’s brother, the late King Birendra, paid three official visits to China, the last time in early 2001 just three month before his death. Birendra also toured China unofficially on seven other occasions’. The cable also notes that, ‘Nepal currently runs a USD 150 million trade deficit with China, and Shrestha hopes that gap can be closed. China has offered to build new roads to promote cross-border trade, including one through the former kingdom of Lo Monthang in Mustang (on Nepal’s northern border) and another leading northwest out of Kathmandu.’ According to the cable the King was likely to highlight the memorandum of understanding and Yuan convertibility that were signed by Nepal and China in recent months’. The Yuan convertibility was the major step for getting rid of over dependence on India. The Chinese tourists and businessmen visiting Nepal were not needed to bring USD as they could directly convert Yuan for Nepalese Rupee. This could also help the Chinese to invest in Nepal, buy land and own property without trading their reserve of USD. India had for long enjoyed this privilege. This was the threat that put India against the King. The US like the King believed that India was not doing much to tackle the Maoist insurgency. In the cable number 02KATHMANDU2044 dated 10 October 2002 newly appointed Foreign Secretary of Nepal Madhu Raman Acharya told the Ambassador, ‘India’s “actions don’t always match the expectations here.” While India had cooperated in banning the All Indian-Nepali Unity Society, a Maoist front the same organization has resurfaced in India under a different name’. In the same discussion the Foreign Secretary emphasized that, ‘The GON (Government of Nepal) wants the support of India “in ways that are acceptable and comfortable for us”’. That clearly meant supporting the Monarchy against India’s assertion of ‘two pillar theory’. This assertion of the Foreign Secretary confirmed the US’s belief that although, ‘India was the first country to declare the Maoists “terrorists” after the insurgents broke the ceasefire in late November, 2001. Since then they have done little, and reportedly Maoist leaders and cadres continue to shuttle back and forth across the open border. India appears to be using Deuba’s visit to show their care and concern, but not necessarily in more than a symbolic way (02KATHMANDU575 20, March 2002).’ Because of this reason when in February 2002 the King assumed the executive power the US supported it and did much to calm the political parties and to build their support for King. At that time only Deuba was bitter against the King however, ‘he apparently has taken the Ambassador’s advice and maintained a relatively dignified and constructive public stance (02KATHMANDU1964). When India did not heed to the King’s wish he tried to bring in other parties and threatened India’s interest. The first step was to appease the US. The King reshuffled the advisory council and included the people who were more close to the US than India. Foreign Minister Narendra Bikram Shah and Foreign Secretary Madhu Raman Acharya were two of them. According to the cable 02KATHMANDU2044, Narendra Bikram Shah he was ‘witty, intelligent, and a long-time friend to the U.S.’. The US on its part did much to help the King to consolidate his influence. In October 2002 a conference was held in London on Nepal. The US arm twisted 22 donor nations to support the King in his fight against the Maoists. The cable number 02KATHMANDU2045 says, ‘the Ambassador reiterated the interest of the US in social and political reform, including the reduction of corruption, but argued that unreasonable preconditions should not be imposed on Nepal during this time of crisis. He acknowledged that the operations of the GON security forces do sometimes obstruct the free flow of food to insurgency-affected areas, but the root cause of this was Maoist depredations. He urged the donors not just to complain about or solely criticize GON actions or inactions, but to be prepared to work with the GON in efforts to effectively combat the insurgency and to develop — like the U.S. and the UK — new programs to specifically help the GON counter the Maoists.’ As the result, ‘the Russian and Australian Ambassadors and the Danish Representative agreed that the Chairman’s Statement should give stronger emphasis to the Maoists’ destruction of infrastructure (02KATHMANDU2045)’. In the end of the conference all the 22 donor countries issued a statement condemning the Maoists and hailing the King of the measures he had taken to counter terrorism! Even this development could not deter India from his stance of constitutional monarchy. The more the King got support from the other countries the more it supported the parliamentary parties. And gradually the parties got the confidence to take on the King. Now the political parties wanted their say in the state’s affairs. When Gaynendra approached the Maoists for the second round of talk by declaring ceasefire the political parties criticized the King’s approach for its ‘lack of transparency’. As India remained unmoved of frequent pleas from the US for helping Nepal the King decided to approach China more elaborately. To show strongly that he was moving toward China in case India remained unsupportive the Government of Nepal deported the 18 Tibetan detainees to China. This was the biggest diplomatic error by the Royal Government as it helped India to build consensus against Nepal. When the King failed to get the legitimacy from India and the political parties he tried to get it from the Maoists themselves. He called them for the negotiation. The Maoists for then supported this idea and went for talk under the leadership of Dr Baburam Bhattarai. To the surprise of many for this round of negotiation Maoists even dropped their key demands of Constituent Assembly and abolition of Monarchy. The statement issued by Prachanda on 29 January 2003 put forth 5 conditions for talk. They were, removing the terrorist label on the Maoists, lifting Interpol Red Corner notices, establishing an interim government, halting all offensives and withdrawing ‘head money’ on key Maoist leaders. In March 2003 the talks began formally. The talks lasted for more than seven months and during this period Maoists and the Monarch almost reached an agreement on the formation of Interim government headed by the Maoists. However one thing was sure and that if they both neglect the parties they would not get India’s support. Later, in August when the talked failed both the King and the Maoists started to woo the parliamentary parties to make their respective cases stronger. The King reinstated sacked Sher Bahadur Dueba as the Prime Minister but failed to win over India. By the end of 2004 Maoists had already decided to form an alliance with the political parties sans Deuba. In February 2005 the King dismissed the Deuba and formed the government under his own leadership and pledged not to hold election until the Maoists were defeted. This entry was posted on July 17, 2012 at 5:50 am	and is filed under Nepal. 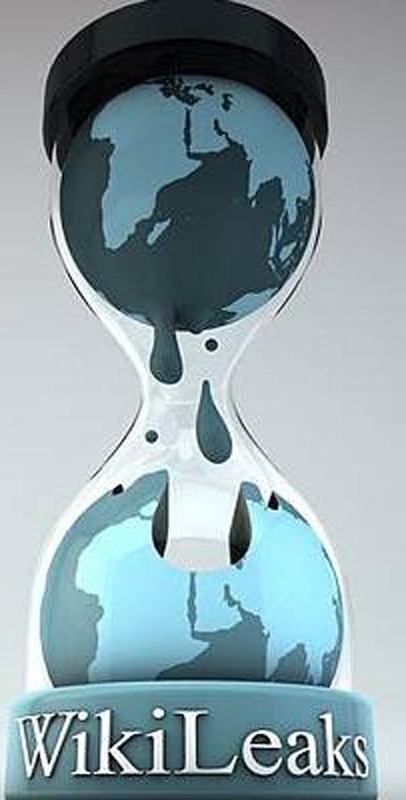 Tagged: Gyanendra Shah, India, Maoists, Nepal, Vishnu Sharma, Wikileaks. You can follow any responses to this entry through the RSS 2.0 feed. You can leave a response, or trackback from your own site.